Dogs have been used throughout the history of art to symbolize loyalty and fidelity. 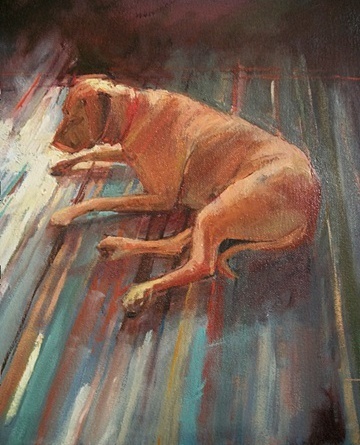 Perry was a loyal Rhodesian Ridgeback that I used to dog sit. His curly tail and shiny coat will always be remembered. He got a bit feisty at times, but that's just because he was so loyal to his owner.